The FBI said Tuesday that it has seen a spike in the number of disgruntled employees who steal company information, sometimes as part of an effort to extort money from previous employers. There have been cases in which individuals used their access to destroy data, steal software, obtain customer data, make unauthorized purchases, and gain a competitive edge at a new job, the FBI said. 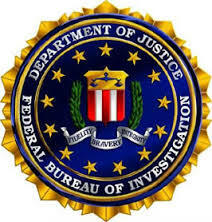 A common way to steal information, the FBI noted, is to use cloud storage accounts and personal e-mail. Sometimes, terminated employees still have remote access to the company’s system. Organizations that have recently been victimized by data theft have suffered losses of $5,000 to $3 million. The FBI reports that some employees have attempted to extort their employer by restricting access to company Web sites, disabling certain functions in content management systems, or conducting distributed denial-of-service attacks. Companies are advised to quickly end departed employees’ access to computer systems, and change administrative passwords after IT personnel quit or are terminated.